1. Pack LESS. This is my number-one piece of advice when parents complain that their child doesn’t eat what they’ve packed. Cafeterias are busy, noisy places with lots of distractions—and there’s not much time to eat anyway. 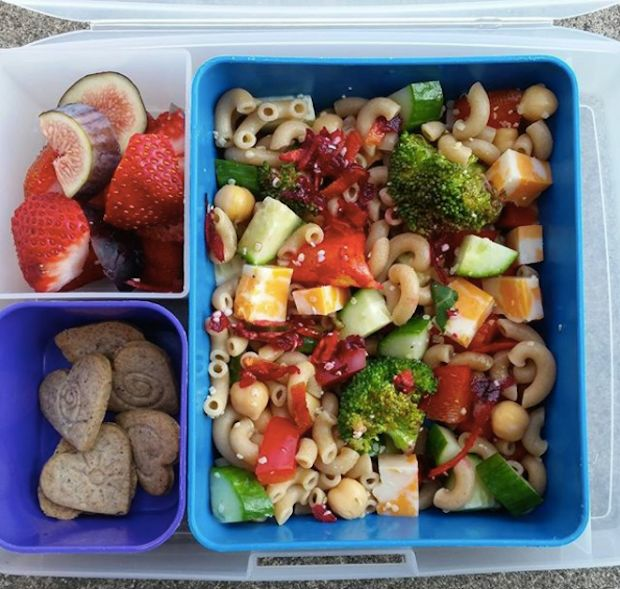 When you pack less in your child’s lunchbox, portions will look doable (not overwhelming), so he may just eat more food. Sounds counterintuitive, but it works for my kids! 2. Include a veggie every day. It could be a piece of lettuce on a sandwich, a few baby carrots, or even a little container of salsa. No, your child may not eat the veggies every day—or eat all of them—but she’s getting the important message that veggies are part of lunch. And she’s getting a chance to get vegetables beyond what’s on her dinner plate. 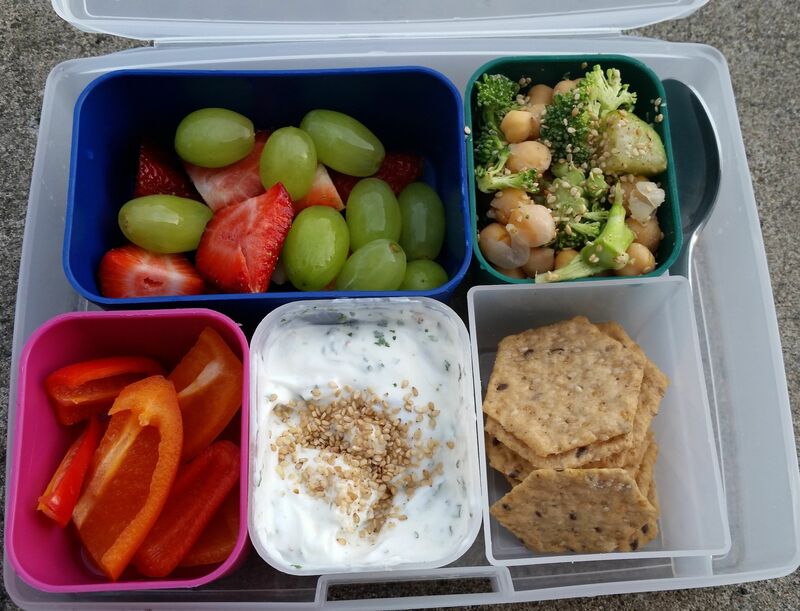 Vary what you pack, and include her favorite dip in a leak-proof container (research shows kids eat more veggies when they’re paired with dip). 3. Rely on fewer packaged foods. I get it: Individually packed items are heaven-sent on hectic mornings and can truly streamline lunch packing (I use them too!). But with rising concerns about plastic waste, it makes sense to trim back when possible (and teach our kids to generate less waste too). 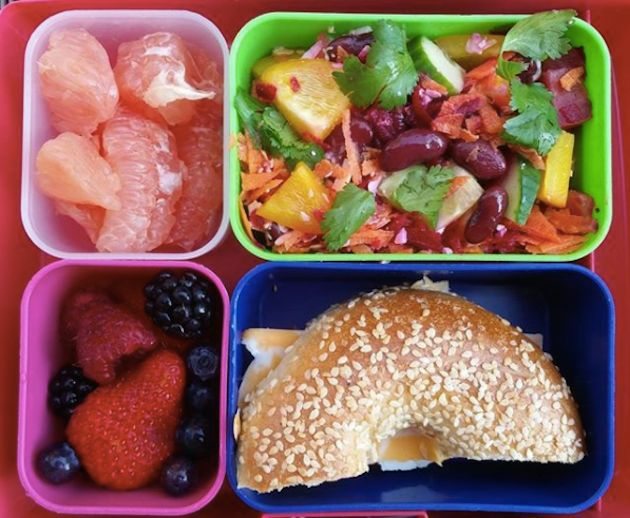 Pick just one item at first to buy in larger quantities—like a large tub of yogurt instead of cups or a family-size bag of pretzels instead of small snack packs—and use a bento lunch box or reusable containers to portion them all week. 4. Get real about sweets. Sugar can add up fast in a lunch box, and beyond the obvious lunch box desserts, it can crop up in a lot of other places you may not think about, like granola bars, flavored milk, homemade muffins, and gummy fruit snacks. Take stock of which items are sugary, then try to include just one. Kids get added sugar in so many places during the day, it’s good to tilt the lunch box balance toward less sugar whenever you can. 5. Teach them to pack all by themselves. 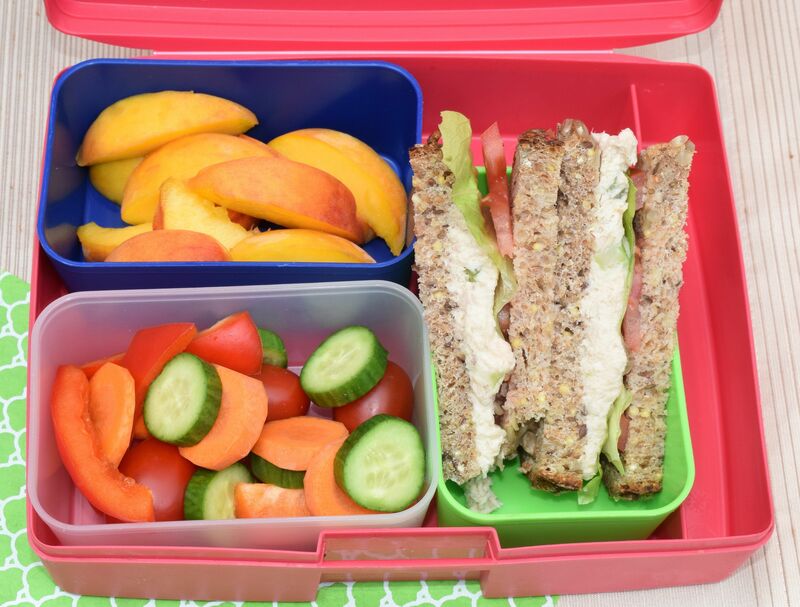 If you’re sick and tired of packing lunches every day, it might be time to pass the job onto your kids. 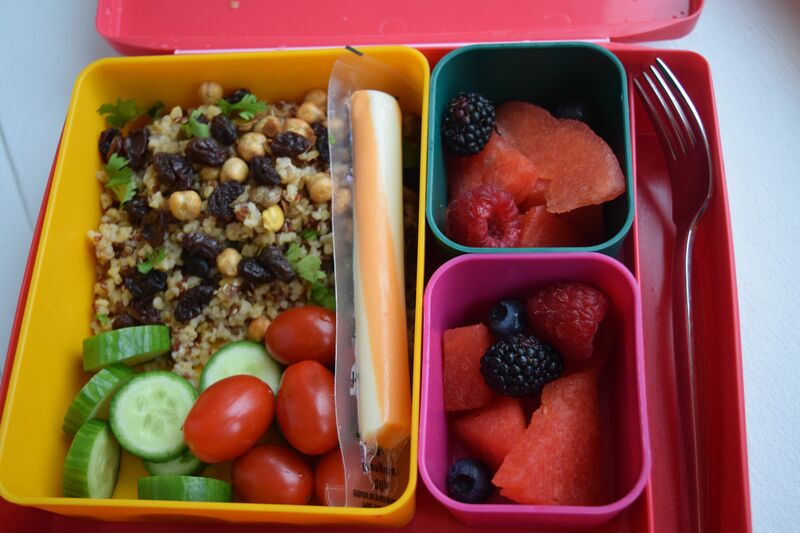 Even kindergarteners can help portion items into a lunch box and locate a cold pack from the freezer. It’s liberating to take lunch-packing off your to-do list, trust me. Ready to take the leap? Here’s a guide to making it happen. This article was written by Sally Kuzemchak from Parents and was legally licensed through the NewsCred publisher network. Please direct all licensing questions to legal@newscred.com. Kids will love preparing these foods as much as they will eating them. 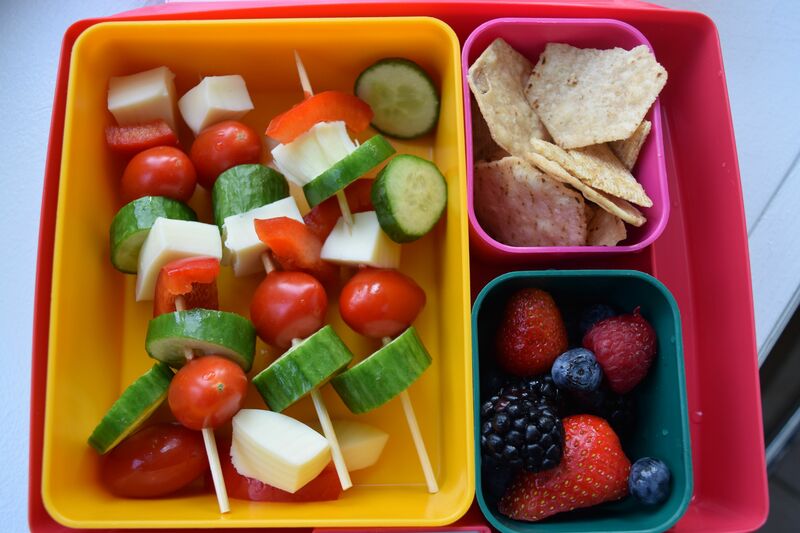 Getting your kids to eat healthy can be tricky. Which is why Shannon Seip and Kelly Parthen, the duo behind Bean Sprouts Cafe, created playful and imaginative meals that get children excited about eating healthy. In their new cookbook Bean Sprouts Kitchen, Shannon and Kelly share 60 recipes the whole family can prepare and enjoy together. Bean Sprouts Kitchen comes out November 6, 2018, but you can make nine of their fun and wholesome meals any day. Make sure the ends of googly-eyed Grilledzilla’s mouth are pointing up in a slight smile, so he doesn’t scare anyone away. Spray cooking spray on one slice of bread. Flip over and layer one slice of cheddar, shredded mozzarella, and the other slice of cheddar cheese. Top with other slice of bread and spray the top slice of bread with cooking spray. Grill sandwich in pan until lightly browned and flip over; continue grilling until cheese is melted. Cut a zigzag line through the bottom third of the sandwich. Place zucchini rounds at the top of the sandwich and top with olives for eyes. Your whole family can work together to create this edible prehistoric scene. We’ve found chocolate to be a much friendlier tar pit for our prehistoric pals. Preheat oven to 350°F (180°C). Mix the flours, flax meal, baking powder, and baking soda into a bowl. In a separate bowl, use a hand mixer to blend the butter, brown sugar, honey, and vanilla extract until fluffy, about 2 minutes. Stir the butter mixture into the flour mixture. Add milk. Stir until blended. Place dough on a piece of waxed paper. Flatten into a big circle and place in the freezer for 15 minutes. On a floured surface, roll the dough to about ¼-inch (6 mm) thick. Press the dinosaur cookie cutters in the dough. Place shapes on an ungreased cookie sheet. Bake for 8 to 10 minutes. Let cool. Melt the chocolate chips in a small bowl in the microwave for 30 seconds at a time, stirring in between. Spoon 2 tablespoons (28 g) of melted chocolate on a small piece of waxed paper and quickly place a dinosaur upright in each chocolate glob. Place the dinosaurs and chocolate in the freezer, until the chocolate hardens, about 2 to 3 minutes. Carefully peel off the chocolate tar pits from the waxed paper and stand dinosaurs upright on a plate. Cut pears into slices, and cut slices into tree shapes for the background. Use the pear slices in place of marshmallows for fruit-filled s’mores. This sweet tasting dish will have your child forgetting they’re eating vegetables. Try multicolored carrots to make this dish really ring. Preheat oven to 425°F (220°C). Line a baking sheet with aluminum foil and spray with cooking spray. Peel the carrots. Carefully slice in halves lengthwise. Mix the butter and maple syrup in a small bowl. Use a pastry brush or the back of a spoon to brush the mixture on both sides of the carrots. Place the carrots rounded side down on the baking sheet. Sprinkle with salt. Bake for 20 minutes or until fork tender. Place the two largest carrot halves, rounded side down, turned inwards at a slight angle, like you’re making a “greater than” math sign. Balance remaining carrots flat side up across the two large, angled carrots. Trim the ends of the carrots with the scissors so they don’t extend beyond the bottom carrots. Place a caper on the end of each carrot key. If desired, place an olive on the end of each lollipop stick for mallets. A fun way to get your child to finish their broccoli. Place the tot upright and surround with 8 legs. Dip the sea creature into ranch dressing or ketchup or enjoy plain. Add broccoli, onion, and parsley to a food processor and pulse until coarsely chopped. Add salt, egg, panko breadcrumbs, and cheese to the food processor and pulse until incorporated. Use your hands to roll 1½ tablespoons (17 g) of mixture into a tot shape. Place on a large baking sheet lined with parchment paper. Repeat three times for a total of four tots. Use the rest of the mixture to create 4 sets of 8 Broctopus legs (32 legs total) on the parchment paper. Form skinny legs and pinch to create curves. Use the pastry brush or your finger to brush extra-virgin olive oil on the tops of all the pieces. Bake for 15 to 18 minutes, without flipping the pieces over. A healthy alternative to your typical pancake. This silly use of zucchini noodles brings the “z” to under the sea. Preheat the waffle maker. Lightly coat the iron with cooking spray. In a bowl, blend the 2 cups (240 g) spiral zucchini noodles, Parmesan cheese, egg, and flour. Pour into the waffle maker and spread evenly across the surface sothe mixture reaches the edges of the iron. While the waffle is cooking, place the remaining zucchini noodles on the bottom halves of two plates. Remove the waffle and cut in half. Place each waffle half at the top of the noodles to create the jellyfish. A perfect way to introduce kale into your child’s diet. If only all deviled eggs had the moxie of these go-getters! Use the child scissors to cut one of the kale leaves until you have ⅓ cup (22 g) little confetti-like pieces. Set aside. With the other large kale leaves, cut 6 triangle shapes for capes, about 3 to 4 inches (7.5 cm to 10 cm) long. Use your fingers or a pastry brush to coat both sides of the capes with olive oil. Place on foil-lined baking sheet and sprinkle with sea salt. Bake for 8 to 10 minutes or until toasted. Cut a tiny slice off the bottoms of the wide ends of each egg so they can stand up. Cut off the top third of each egg and carefully remove the yolks and place in a small bowl. Add the mayonnaise, Dijon mustard, and kale confetti and stir until blended. Carefully spoon the egg yolk mixture back into the hollowed-out eggs. Use a toothpick to poke 2 small holes in the top of each egg white and push in 2 red pepper pieces for horns. Carefully press the short end of each baked kale cape onto the top of the egg yolk mixture so that it’s “flying” straight out. Top with the smaller piece of the hard-boiled egg. Try serving the Dare-Deviled Eggs on top of tall, clear cups turned upside down, so it looks like they’re flying. Great with spaghetti or all on their own. Unleash your inner stylist with these sassy bites. Toss the cooked spaghetti with the olive oil, garlic powder, and salt until evenly coated. Use child scissors or your fingers to pinch off the spaghetti strands into different lengths. Place the noodles on a foil-lined baking sheet in whatever hairstyles you like—curlicues, spikes, etc. Bake for 5 to 6 minutes or until lightly browned. Let cool slightly. Fix the spaghetti hair onto the meatballs and serve with your favorite pasta sauce for dipping. Try using the noodles to create stick figures for your Spagiggles. A snack that’s delicious and safe for anyone who’s gluten free. This croc pot is delightful for dipping veggies. Use a spoon to scoop out the avocado pulp and place in a bowl. Set avocado skins aside. Add the hummus and lemon juice to the bowl and use a fork to mash ingredients until smooth. Scoop the green hummus back into the avocado skins. Place 2 zucchini rounds and olive slices in the hummus at the wider end of each avocado skin for eyes. Add carrot matchsticks at the narrow end for teeth. Enjoy with your favorite veggie dippers. The jicama adds a little sweetness to this dish. Silly shapes of crunchy veggies blast this dish to infinity and beyond. Use the child scissors to cut out 8 identical rocket shapes from the tortillas. On 4 of the rocket shapes, evenly divide the shredded cheese and chicken. Top with salsa, if desired, and the remaining tortillas. Heat a large skillet over medium heat and add extra-virgin olive oil. Carefully add the rockets to the skillet. Cook until golden on both sides, about 3 minutes per side. While the rockets are cooking, cut the jicama into thin slices. Use the mini cutters to cut 16 to 20 stars and moons. Use the child scissors to cut flame shapes from orange and red bell peppers. Use the back of a spoon to spread the warmed refried beans across 4 plates. Place a rocket quesadilla in the middle of each plate. Add pepper flames at the bottom of the rocket and olive slices in the center for portholes. Add jicama stars and moons on the refried beans. This article was written by Shannon Payette Seip and Kelly Parthen from Working Mother and was legally licensed through the NewsCred publisher network. Please direct all licensing questions to legal@newscred.com.